Clerkenwell interior design project for a residential apartment refurbishment. 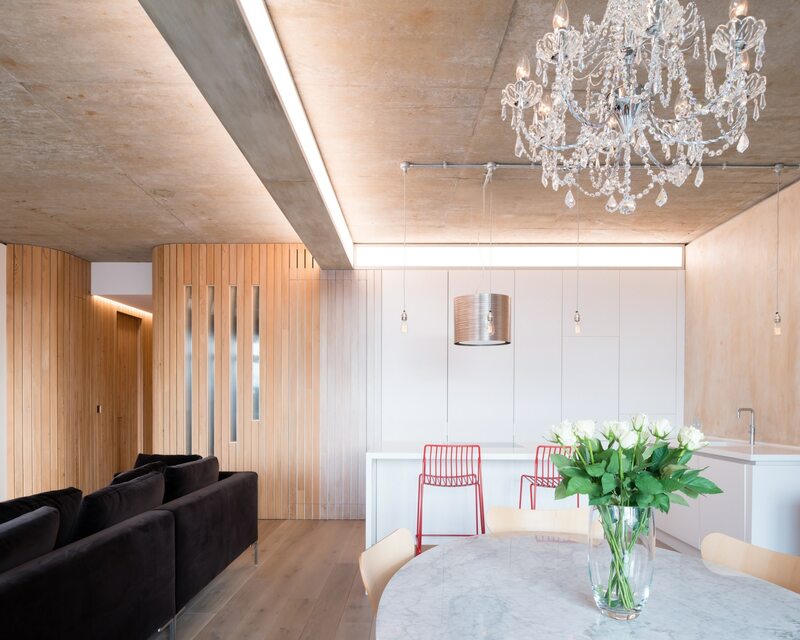 Drawing on the existing industrial character of the concrete ceiling in this loft style open plan apartment. 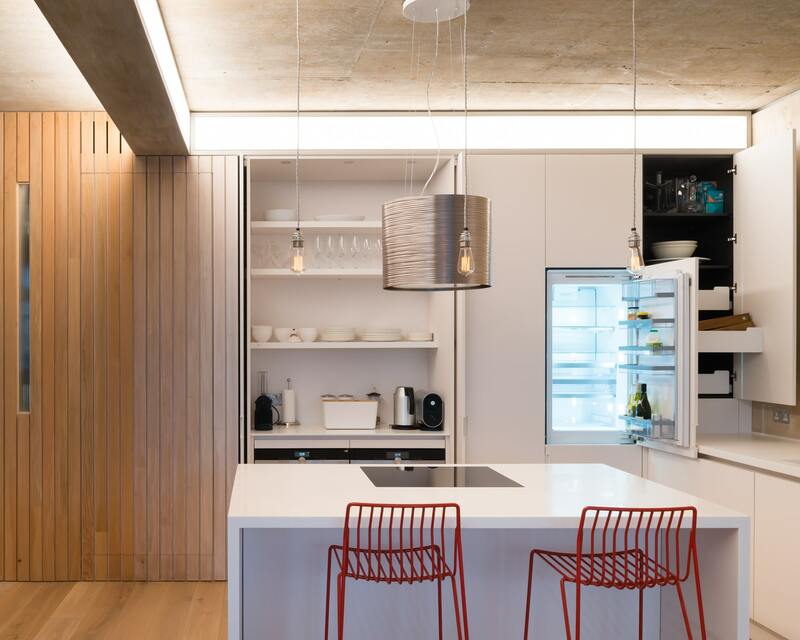 The kitchen dining area is visually separated from the living area by a replica illuminated concrete beam, which runs perpendicular to the original. This duplicate structure fitted with a seamless backlit LED luminaire with colour temperature controllable technology and continuing above the efficiently concealed integrated kitchen. Other lighting features include traditional filament bulbs and a crystal chandelier juxtaposed against the industrial ceiling. 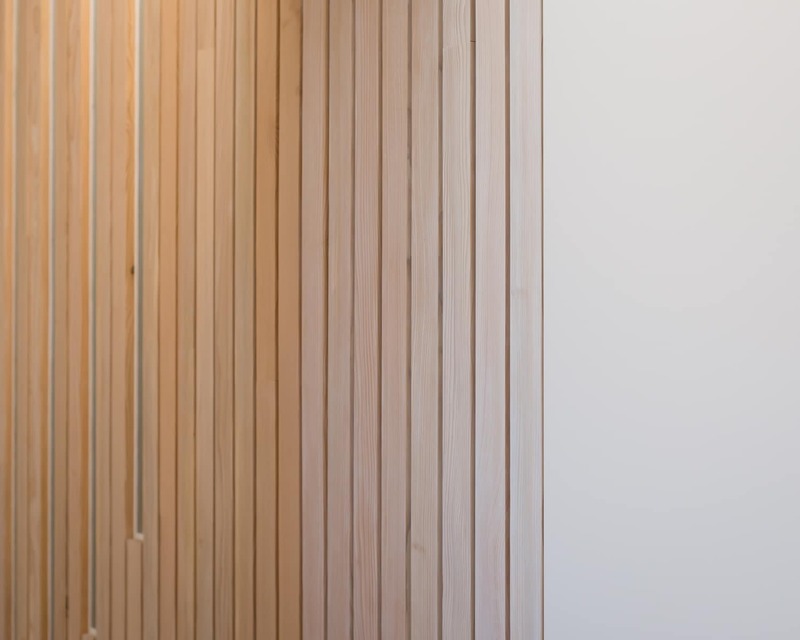 Cedar of lebanon timber planks line the entrance. 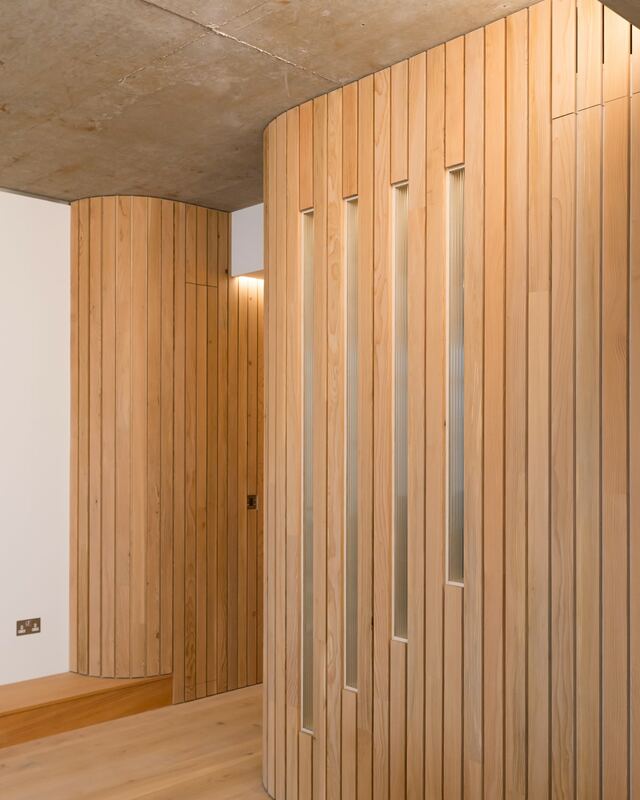 This fragrant timber lining, meticulously detailed and constructed to maximise space in the apartment plan. A gradient of stained strips connecting this surface to the surrounding white surfaces. Re-organisation of the entrance route allowed the enlargement of the existing bedroom area to incorporate built in wardrobes and any surplus space filled by carefully concealed cupboards. 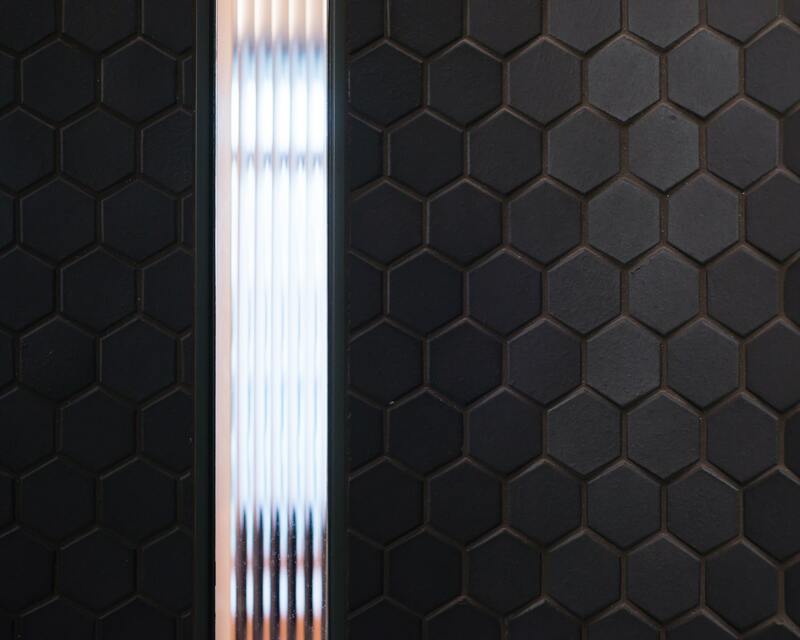 One of these concealed doors accessing the bathroom, whose curved corners soften the geometry of the room and enhance the surface qualities and texture of the full height black porcelain hexagon wall tiles. A raised cedar wood plinth with CNC cut detail, creates a border to the living area and transitional step up to the open planted terraces. Remote controllable blackout roller blinds and voile curtains allow a variety of ways to control the light of the rooms interiors.